Diabetic retinoptahy is damage to the retina (retinopathy), specifically blood vessels in the retina, caused by complications of diabetes mellitus. Diabetes retinopathy can eventually lead to blindness if left untreated. Approximately 80% of all patients who have had diabetes for at least 10 years suffer from some degree of diabetic retinopathy. The retina is the light-sensitive membrane that covers the back of the eye. If diagnosed and treated early blindness is usually preventable. Diabetic retinopathy generally starts without any noticeable change in vision. However, an eye doctor (opthamologist) can detect the signs. Hence, it is important for diabetes patients and the less controlled his/her blood sugar is. According to the National Institutes of Health (NHS) USA approximately 16 million Americans have diabetes, of which half do not know they have the condition. Unfortunately, only about half of the half who know they have diabetes receive appropriate eye care. Consequently, diabetic retinopathy is the leading cause of new blindness in American individuals aged 25 to 74 years – 8,000 new cases each year. Approximately 12% of all new cases of blindness in America are due to diabetic retinopathy. According to the National Health Services (NIH), UK, diabetic retinopathy is the leading cause of blindness in adults under the age of 65 in the UK. The NHS adds than an estimated 25% of individuals with Type 1 diabetes will have some degree of diabetic retinopathy 5 years after their symptoms develop and 25 % of those with Diabetes Type 2 who do not require insulin. For those who require insulin, approximately 40% are estimated to have some degree of diabetic retinopathy, five years after the onset of symptoms (diabetes). What are the signs and symptoms of diabetic retinopathy? A symptom is something the patient senses and describes while a sign is something other people, such as doctors notice. For example, drowsiness may be a symptom while dilated pupils may be a sign. Diabetic retinopathy typically has no symptoms during the early stages. Unfortunately, when symptoms become noticeable the condition is often at an advanced stage. Sometimes the only detectable symptom is a sudden and complete loss of vision. The only way patients with diabetes can protect themselves is to attend every eye examination their doctor tells them to go to. What are the risk factors for diabetec retinopathy? A risk factor is something which increases the likelihood of developing a condition or disease. For example, obesity significantly raises the risk of developing diabetes type 2. Therefore, obesity is a risk factor for diabetes type 2. Diabetic retinopathy is an inevitable consequence of having diabetes for the majority of patients. However the following measures can significantly help slow down it’s progression. Controlling blood sugar levels – patients with diabetes who manage to control their blood levels will definitely slow down the progression of diabetic retinopathy. Making sure you go to all of your scheduled eye examinations. Are Your Cholesterol Levels Where They Should Be? 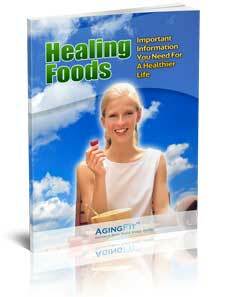 We'll also add you to our popular, Aging Fit health secrets series. I have been experiencing bone loss and my doctor says I am at risk of osteoporosis. Are there foods that can help me minimize bone shrinkage? What other suggestions do you have to help me manage and avoid more problems? © 2011 Copyright AgingFit.com. All Rights Reserved.